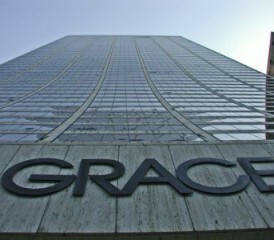 W.R. Grace’s bankruptcy status may finally come to an end in the coming days, according to recent reports. After being in bankruptcy for 11 years, the company with ties to America’s most widespread asbestos contamination could potentially exit this legal protection soon. On January 30, Judge Ronald L. Buckwalter of the U.S. District Court for the District of Delaware in Wilmington confirmed the company’s reorganization plan. Under bankruptcy law, potential appeals regarding the judge’s confirmation order can be made during a pre-determined 30-day window. The window opened on June 11. This means that appellants have until July 11 to file any considerations, at which point W.R. Grace will have an additional 30 days to respond. Then the 3rd Circuit Court of Appeals will make its decision. The company may actually be able to exit bankruptcy even before all they are all settled, depending on the details of the appeals. But first, the courts must receive all appeals. During its tumultuous history, bankruptcy has protected W.R. Grace from more than 100,000 personal injury claims, mostly centered on asbestos-related concerns. Unfortunately, bankruptcy did not product the countless victims affected by the company’s products and actions. Even though the company no long manufactures asbestos products, its past can’t escape it. W.R. Grace owned a vermiculite mine in Libby, Montana between 1963 and 1990 and shipped the mineral all over the country and throughout the world. The problem was that much of the vermiculite was tainted with asbestos, a toxic and naturally forming mineral. When asbestos fibers are inhaled, they cause multiple respiratory diseases like mesothelioma, lung cancer, asbestosis, pleural plaques and other conditions. The fibers become airborne when the mineral is disturbed, through activities such as mining, construction and others. In some cases, these diseases don’t develop until 50 years after initial exposure. Hundreds of the company’s miners subsequently developed asbestos-related diseases, along with hundreds of local residents. Some estimates credit W.R. Grace for causing hundreds of deaths and over two thousands cases of diseases. Furthermore, through the company’s mining activities, dozens of asbestos-containing products were manufactured. These products include High Temperature Insulating Cement, Monokote Cement, Monokote Fireproofing, Zono-Coustic, Zonolite Acoustical Plastic/Plaster, Zonolite Cement and many more. The company’s Zonolite Insulation product, which is believed to contain asbestos, may potentially be in the homes of millions of Americans. Today, the hazards of asbestos are well-known and the material is use in limited quantities with strict safety regulations. W.R. Grace now focuses on the development of chemical products and is a publicly-traded company with thousands of employees. Buckwalter, R. (2012, June 11). Amended Memorandum Opinion in re: W.R. Grace & Co.